EUR/USD & GBP/USD Analysis – The EUR/USD moved lower on Wednesday but rebounded from its lows as yield differentials continue to favor the greenback. A narrowing of the Eurozone current account surplus help the greenback gain traction. 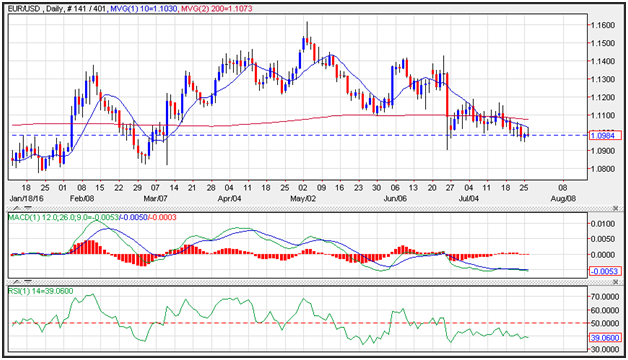 Support on the currency pair is seen near an upward sloping trend line that connects the lows in March to the lows in June and comes in near 1.0922. Momentum has turned negative as the MACD (moving average convergence divergence) index generated a sell signal. This occurs as the spread (the 12-day moving average minus the 26-day moving average) crosses below the 9-day moving average of the spread. Eurozone current account surplus narrowed in May. The Eurozone posted a current account surplus of EUR 30.8 billion in May down from EUR 36.4 billion in the previous month. The data still points to a marked widening of the current account surplus in the second quarter, thanks to a wider trade surplus. 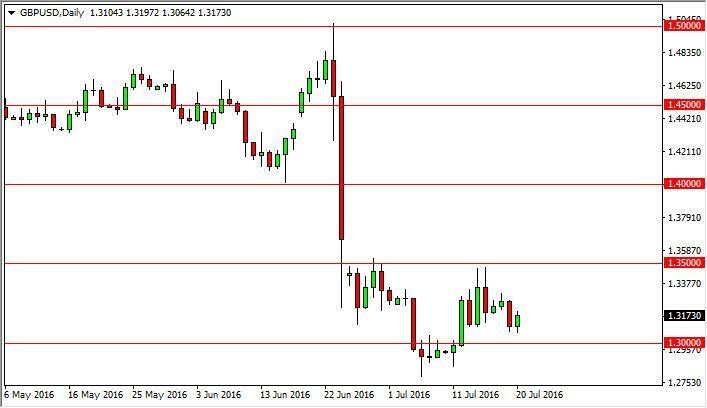 The GBP/USD pair bounced slightly during the course of the session on Wednesday, as we continue to grind back and forth. Ultimately though, this is a market that seems to be very soft so therefore it’s likely that an exhaustive candle above will be reason enough to start selling. The 1.35 level above seems to be a bit of a “ceiling” in this market, and with the United Kingdom leaving the European Union it makes quite a bit of sense that we continue to the downside over the longer term. I have no interest in buying this pair.